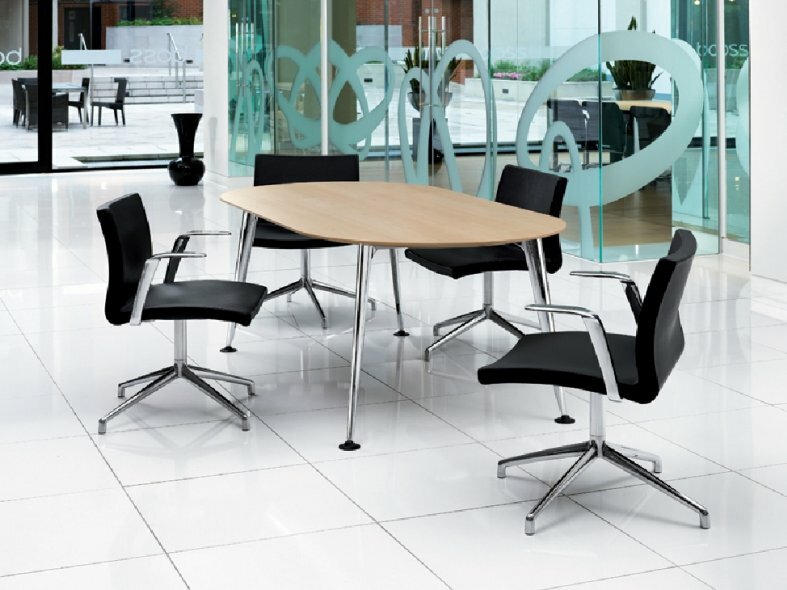 Pegasus comes in a range of dimensions and forms and is ideally suited to meeting and conference and boardroom spaces. 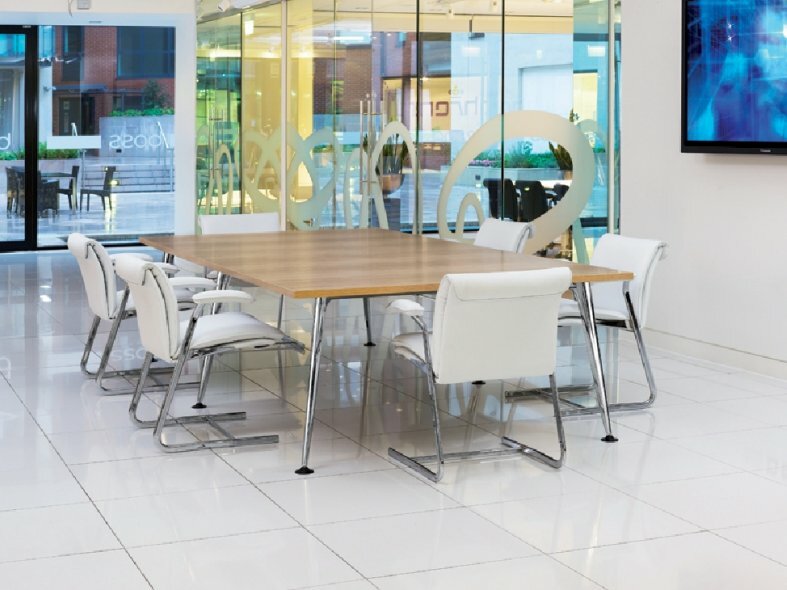 Pegasus comes as a square, rectangular, oval, elliptical or circular table, with alternative table top finishes, with either a square or reverse-chamfered edge detail. 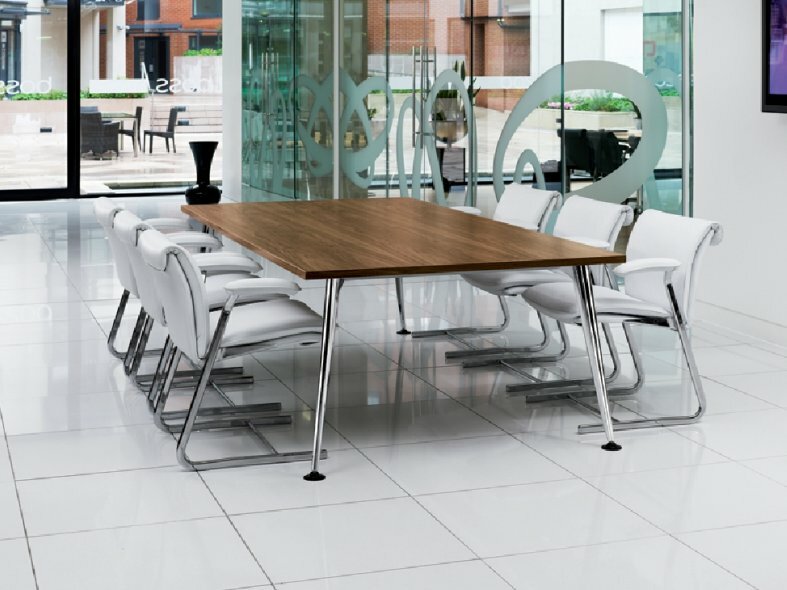 Its elegant angled leg is available in polished aluminium or the choice of painted silver, black, white and chrome. 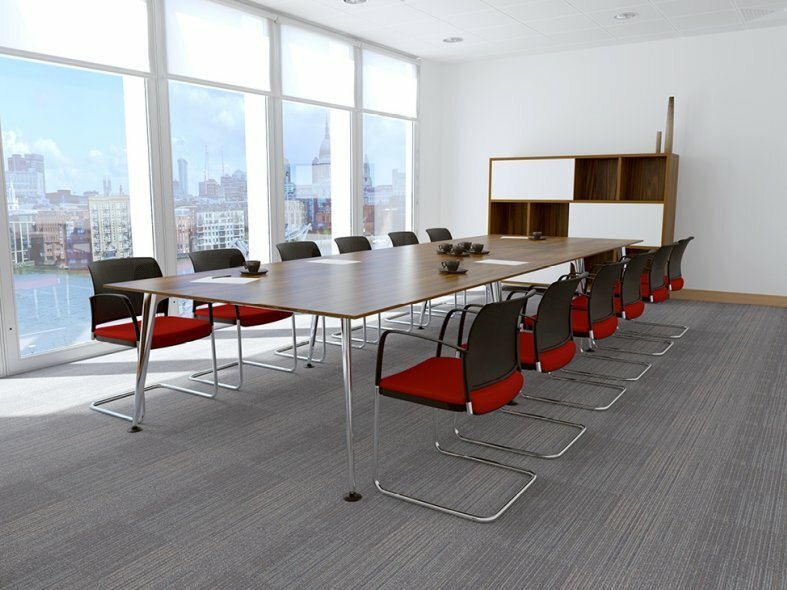 The corporate profile includes the option for discreet and integrated table-top power and data connection points, with cable management as standard.